Helping children understand death and the powerful emotions that come with any disappointment or loss is not easy, especially when other members of the family may be grieving, too. When adults are struggling with major life events such as divorce, serious illness, an accident, fire, natural disaster, a crisis in the world or the death of someone close, children may feel lost, frightened and confused. 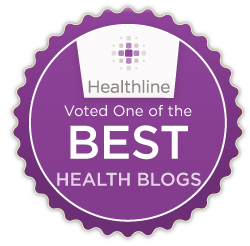 Under such circumstances, they need stable and consistent attention from their caregivers, accurate and factual information, and freedom to ask questions and express their feelings. Like the adults around them, they need time to explore and come to terms with the meaning of their loss. One of the most effective ways to help children understand normal grief reactions ~ their own and that of the people around them ~ is to tell them a story, or you can read together one of the many wonderful children's books now available on loss, dying, death and grief. I am especially drawn to children’s books (even for adults!) because with few and simple words, often accompanied by colorful and breathtakingly beautiful pictures, the authors and illustrators manage to address some of the most complicated concepts, and in ways that even I can understand! Children's books can be wonderful vehicles for opening the lines of communication with youngsters, serving as helpful springboards to get a conversation going. The ones I like the best are those written as much for adults as for children. The stories are uplifting and hopeful, and told with great wisdom, honesty and love. 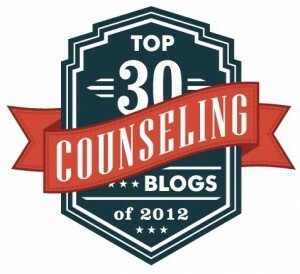 They encourage readers to look to caring others for support. They teach that while nothing lasts forever and death is a part of life, we never stop loving someone who has died, and through activities and ritual, we still can find ways to honor and preserve the memories of the ones we’ve loved and lost. Books about pet loss are especially dear to me, since the loss of a beloved pet is often the child’s first experience with death, and as metaphor, the stories work in helping children explore and understand many other types of grief and loss as well. 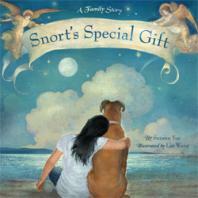 A lovely example is Snort’s Special Gift: A Family Story, written by Suzann Yue and illustrated by Lin Wang. After the death of their beloved boxer dog Snort, Savy and her family explore different ways to grieve for and remember their cherished friend. The healing story addresses feelings of loss in gentle and supportive ways, as the family shares happy memories and creates a beautiful celebration of Snort’s life. When she's given a school assignment to write a story about someone special in her life, Savy decides to write about Snort, identifying many of the lessons she has learned from her faithful companion. In the end, she discovers a wonderful Christmas gift she knows has come from Snort. The book concludes with an activity page to help readers identify what special gifts they’ve received and what they've learned from their own cherished pets. Whether you find your children's book at the library, at your corner bookstore or online, before making your selection I encourage you to read Amazon's description and reviews. That way, you can decide whether its content fits with your child's experience and with your own personal values and belief system. Book Clinic: What Children's Books Might Help with Grief? Who's Gonna Tell The Kids? poem given out at my grandmother’s funeral in 2006. I found that it may have been written by Mary Frye. Katherine, my dear, I followed the link you provided above, and I think your book is absolutely beautiful! I've always loved that precious poem, and good for you for using your artistic skills and finding a lovely and creative way to share it with others. Your book would make a perfect gift for anyone who is coping with the loss of a loved one ~ adults as well as children! I wish you every success with it, and I thank you so much for sharing it with all of us!